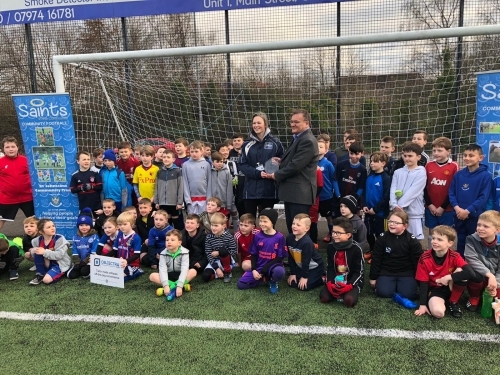 The St Johnstone Community Trust are delighted to announce the launch of their new online registration & booking system, developed by local company Cogent Focus. Cogent Focus are a Microsoft developer with many years of experience developing Windows and web applications. The company largely provides cloud-based applications, secure development, business intelligence and, highlighted through their work with The St Johnstone Community Trust, can tailor their ‘Objectra’ software to meet very specific customer requirements. All existing and future participants of a St Johnstone Community Trust programme are able to complete their details online, sign up for a range of activities and, where appropriate, book and pay for a course. The Objectra software allows session registers to be created, printed and completed with ease and will prove vital to the charity in more effectively measuring and evidencing the impact which they make within the community of Perth and Kinross. The St Johnstone Community Trust would recommend any organisation looking to upgrade their database software to have an initial chat with Cogent Focus to further discuss the options which they could provide.